Slavery in the United States clarifies the institution of slavery in its historical context. 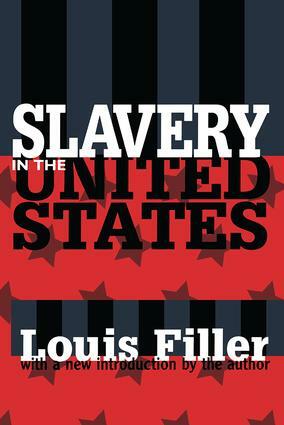 Filler avoids the all too prevalent literary attitude of either treating slavery as an unmitigated nightmare from the past, or regarding it as a way of life which warmly repaid slave and slaveholder. He does not reduce the issue to one of fact and figures, nor does he inject endless hypotheses and analogues. Rather, this finely etched volume encompasses the human implications of slavery and its practices. It emphasizes the distinguished and disreputable elements on both sides of the slavery relationship, and in every part of the United States. Slavery offers peculiar challenges to the student of American life, past and present. It is unrealistic to avoid the human implications of slavery and its practice. It is equally unhelpful to assume glib and partial viewpoints with respect to so all-embracing a system as slavery became. The cause of progress, no less than social science, is not advanced by indifference to patent facts. The civil libertarian who romanticizes black people indiscriminately, and lumps Jefferson Davis with Simon Legree may win popularity with enthusiasts and ideologues. But they will soon find themselves quaint and outmoded. The author reminds us that "the safest approach to slavery is to determine what the institution meant to the country at large; why it flourished as it did, and how it came to be opposed and overthrown." The work includes high quality often neglected readings that permit the reader to form his or her own views. It reveals the best writing on all aspects of the slavery issue, as well as analytic summations by contemporary historians and social researchers.